Thanksgiving has arrived and in celebration of this beautiful holiday of giving thanks, we are listing a complete guide to celebrate Thanksgiving in Denver. If you want to impress your guests this year with an amazing and well-prepared turkey, then check out Country Living‘s ‘28 Best Turkey Recipes for Thanksgiving‘ article, where you can find traditional-style turkey recipes like the “Perfect Roast Turkey” to more unique ones, like the “Smoked Paprika-Rubbed Turkey with Madeira and Shallot Gravy”. 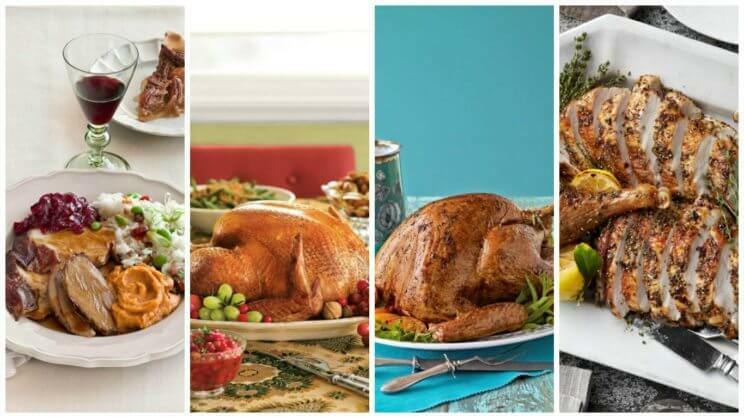 If cooking all day doesn’t sound so appealing to you, yet you still want to whip out a great meal, then check out their ‘How to Roast a Turkey in Just Over an Hour’ article! 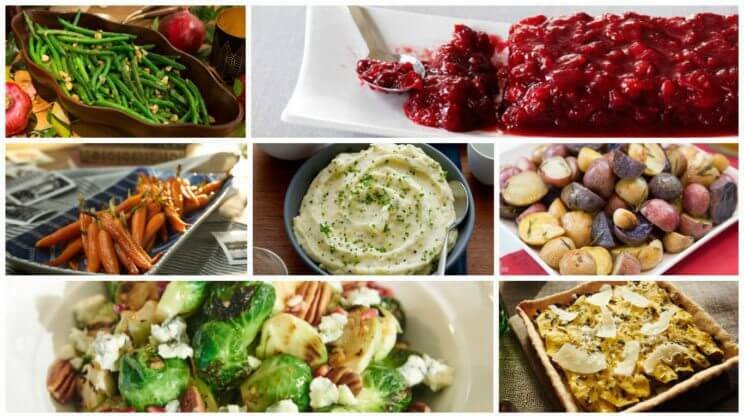 Surprise your guests with so many different side dishes this year with one of our favorite Thanksgiving articles on the web, Cooking Channel‘s ‘The 101 Best Thanksgiving Side Dishes’ roundup! Vegans, we haven’t forgotten you! 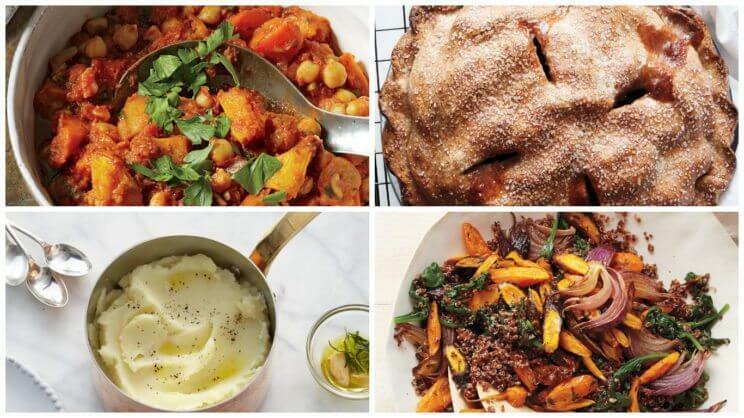 Martha Stewart rounded up some delicious ‘Vegan Thanksgiving Recipes‘ that are easy-to-make and taste delicious too. 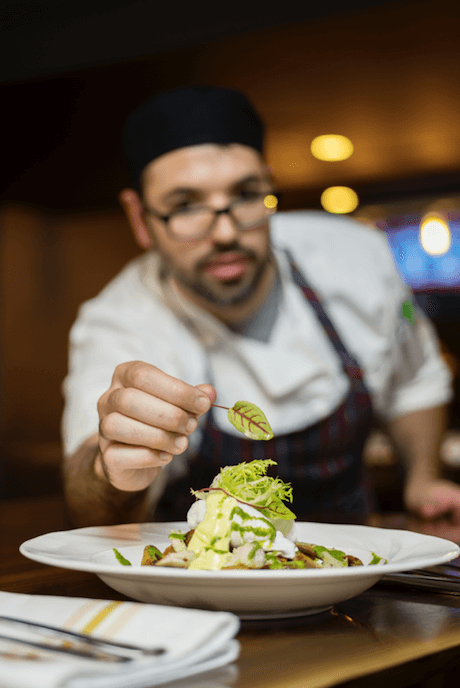 If cooking isn’t really your thing, and this year you would like to experience a hassle-free Thanksgiving, then consider picking up a pre-made dinner from one of these Denver local restaurants. 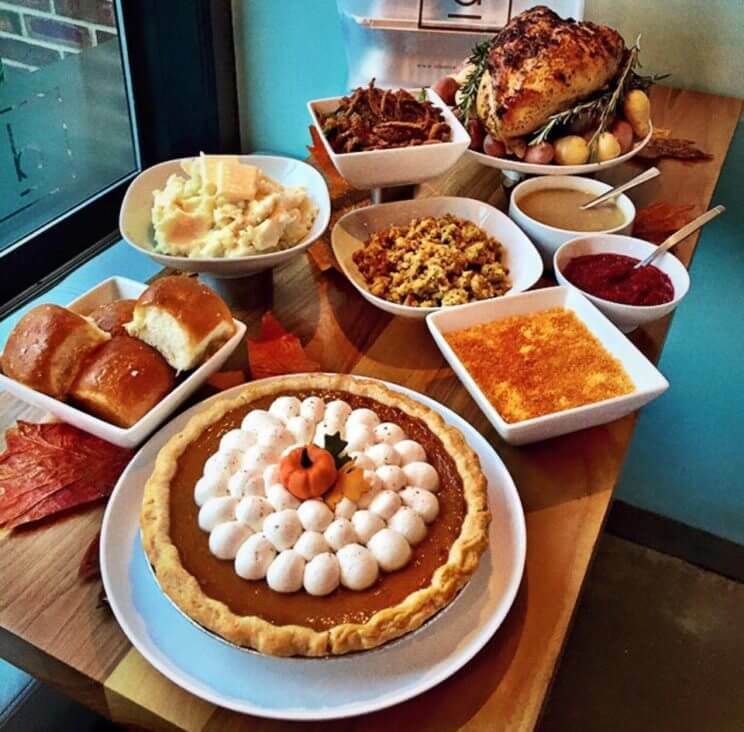 D Bar Denver will prepare a complete Thanksgiving dinner that serves up to four people. The complete Thanksgiving Takeout Dinner includes roasted turkey breast and turkey leg confit, traditional croissant stuffing, Cremé Fraiche whipped potatoes, turkey gravy, bacon mac and cheese, crispy brussels with brown butter, hazelnuts and lardon, cranberry relish, salted butter dinner rolls, and 9″ pumpkin pie. Meal is priced at $125 in total. Order by Monday, November 20th, 2017, by calling: (303) 861-4710. D Bar Denver is located at 494 E 19th Ave, Denver, CO 80203. 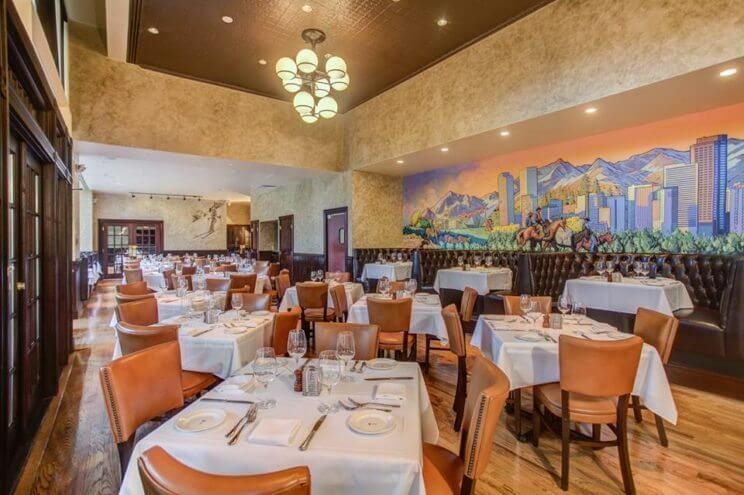 French 75 is offering a Thanksgiving dinner with a French twist, that serves up to six people. The meal includes: Rotisserie roasted Turkey with gravy, Brioche stuffing, whipped potatoes, mac & cheese, goat cheese creamed spinach, apple cranberry preserves, baguette with truffled butter, and a choice of maple bourbon pumpkin pie, salted caramel pecan pie or Wednesday’s apple pie. Meal is priced at $210 in total. Order online by 5pm on Monday, November 20th, 2017. French 75 is located at 717 17th St Ste B, Denver, CO 80202. Russell’s Smokehouse is offering a traditional Thanksgiving Dinner with all the fixins. The meal serves up to six people and includes: Smoked Turkey with classic brown gravy, cornbread dressing, butternut squash hash with pecans & golden raisins or whipped potatoes, baked mac & cheese, collard greens, apple cranberry sauce, Dinner Rolls and choice of maple bourbon pumpkin pie, salted caramel pecan pie or Wednesday’s apple pie. Meal is priced at $210 in total. Order by 5pm on Monday, November 20th, 2017 , by calling: (720) 524-8050. Russell’s Smokehouse is located at 1422 Larimer St, Denver, CO 80202. 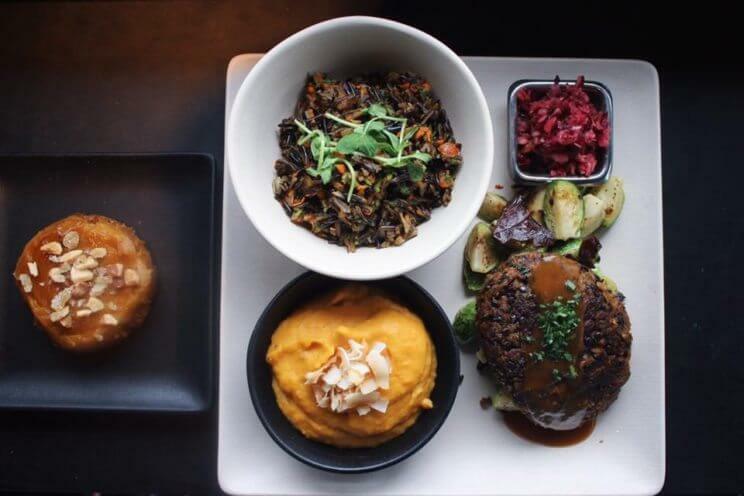 Vital Root is offering a Vegan Thanksgiving Meal To-Go meal which includes mushroom-lentil loaf & porcini gravy, cranberry-orange chutney, wild rice pilaf, roasted brussels sprouts with coconut bacon, butternut squash & coconut milk mashers, and a pumpkin-almond pie. Order by calling: (303) 474-4131. Vital Root is located at 3915 Tennyson St, Denver, CO 80212. Maybe you just want to completely make this Thanksgiving hassle-free, in which case you should know about these Denver restaurants that will be offering special dinners for the occasion. 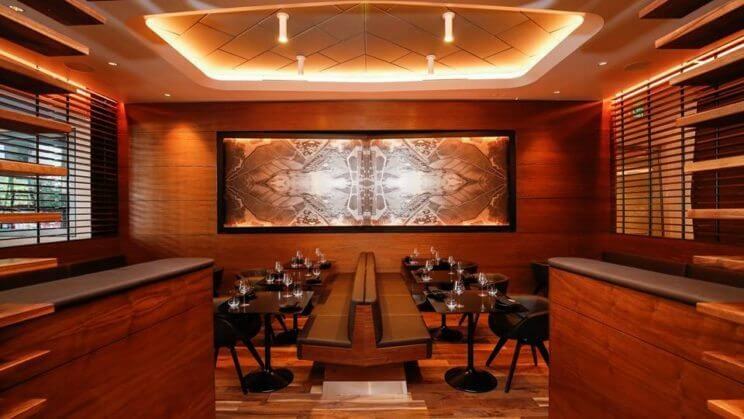 1515 Restaurant is hosting a Thanksgiving Lunch by Chef Gene Tang and Chef Lindsey Brinkerhoff, who will be preparing a festive menu filled with traditional favorites and some new surprises. For reservations, call: (303) 571-0011. 1515 Restaurant is located at 1515 Market St, Denver, CO 80202. Departure Denver Restaurant + Lounge will be celebrating the holiday with an Asian-inspired Thanksgiving menu, blending non- traditional ingredients with traditional offerings. Guests will enjoy shared appetizers for the table including chicken galangal soup, a warm carrot salad of sunchoke, smoked cashew, curry, and coconut cream, and Departure wings with a sweet chili glaze. A selection of entrées, sides for sharing, and a dessert duo of caramel apple cake and pumpkin custard will complete the culinary experience. For Reservations, call: (720) 772-5020. Departure Denver Restaurant + Lounge is located at 249 Columbine St, Denver, CO 80206. Fire Restaurant & Lounge inside the ART, a hotel, is hosting a complete Thanksgiving dinner that features dishes such as butternut squash soup, a traditional turkey with sage stuffing, whipped potatoes and candied yams, roasted baby carrot salad, assorted Thanksgiving themed desserts and more. For reservations, call: (720) 709-4431.
the Art, a hotel is located at 1201 Broadway, Denver, CO 80203. 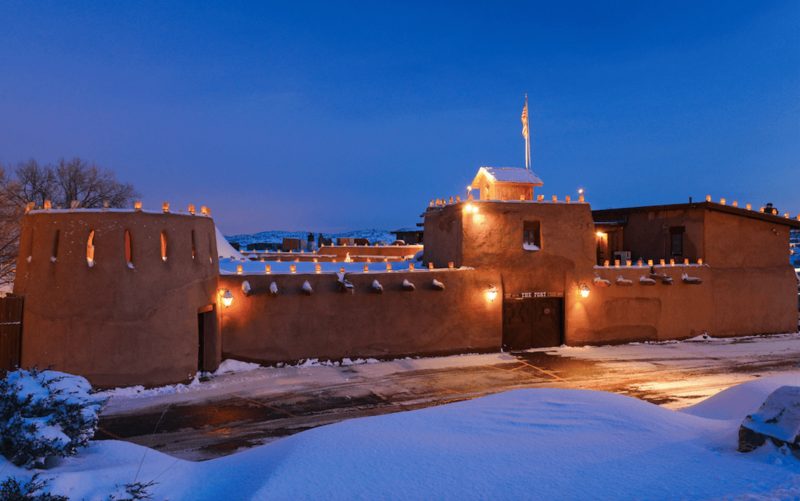 Every year, The Fort serves its rendition of the traditional turkey dinner. The three-course meal includes a Fort salad and freshly baked breads to start; honey roasted turkey breast with gravy, buttery mashed potatoes, homemade sausage and apple stuffing, fire roasted maple yams, green beans with almonds and cranberry relish; and brandied pumpkin pie for dessert. A limited menu is also available, featuring vegetarian and salmon dishes, as well as a full kids menu. For reservations, call: (303) 697-4771. The Fort is located at 19192 CO-8, Morrison, CO 80465. The downtown Denver and Westminster Kachina Southwestern Grill ocations will be offering a festive feast with a Southwestern approach. Served family style, highlights will include; roasted green chile deviled eggs, smoked trout dip, achiote-brined turkey, grilled pork tenderloin with a cranberry compote, traditional and non-traditional sides, and a dessert board featuring a mini pumpkin pie with salted pecan streusel, mini apple empanadas with dulce de leche, and more. For Denver reservations, call: (720) 460-2728; For Westminster reservations, call: (303) 410-5813. Kachina Southwestern Grill is located at 1890 Wazee St., Denver, CO 80202 & 10600 Westminster Blvd, Westminster, CO 80020. The Palm‘s Thanksgiving menu includes a three-course dinner with a variety of options for each course including baby kale salad and roasted butternut squash soup among others for the first course, slow-roasted hand carved turkey with a variety of side dishes for the second course, and pecan or pumpkin pie for the final course. The restaurant is also offering their regular dinner menu. For reservations, call: (303) 825-7256. 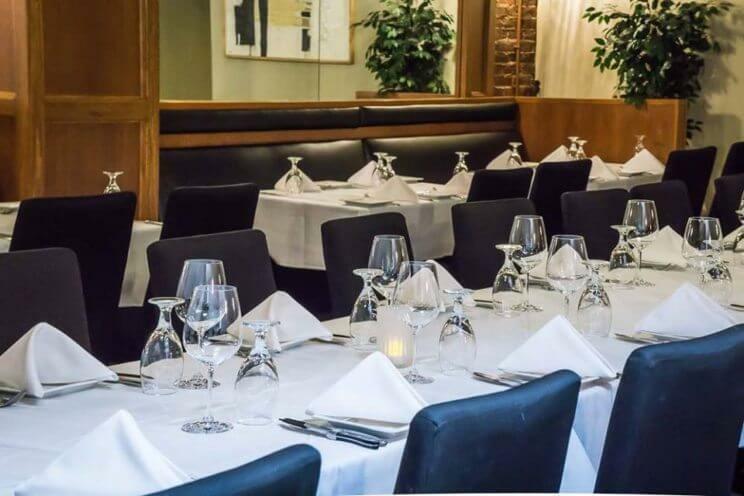 The Palm is located at The Westin Denver Downtown, 1672 Lawrence St, Denver, CO 80202.
range, a modern addition to the former Colorado National Bank Building, will serve a New American West version of Thanksgiving dinner. The three-course menu features a warm brussels sprout salad with roasted squash, wild rice, mushrooms, chile agave vin and pecorino; house smoked turkey with chorizo grits, carrots, parsnips and sherry-thyme gravy; and pumpkin spice pot au crème with ginger crumbs, fresh cream and butterscotch pearls for dessert. The full harvest menu is also available. To reserve, call: (720) 726-4800.
range is located at 918 17th St, Denver, CO 80202. Urban Farmer Denver will be serving up a menu that captures all the warmth and happiness a stress free meal can bring. The modern Denver steakhouse, known for its in-house whole animal butchering program and straight-from-the-farm seasonal abundance, will offer a coursed meal of soul-nurturing dishes, including mains, salads, sides, and pastries. For their entrée, guests can choose from Colorado raised turkey, braised beef pie, with a beet gastrique and crème fraiche, roast prime rib, mushroom risotto and vegetarian-friendly offerings. For reservations, call: (303) 262-6070. Urban Farmer Denver is located at 1659 Wazee St, Denver, CO 80202.